I am definitely one of life's planners and always plan our school holiday activities well in advance. I always seem to be counting down the days until the kids break up from school. I just love the Easter holidays and can't wait. If you're looking for ideas, I'll be publishing my annual '100+ Ideas for Days Out across the North East over Easter' soon so keep your eyes peeled for that, but for now I am sharing an idea to keep the kids entertained on Monday 17th April with Naomi's Wild & Scary Show at Tyne Theatre & Opera House. To use Naomi's words, if your kids like wildlife, this is the show for them! Naomi's Wild & Scary Show will be visiting Tyne Theatre & Opera House in Newcastle on Easter Monday (Monday 17th April) at 2pm. I think it's a lovely way to enjoy the day with the family (it's suitable for all ages) and tickets would make a nice Easter gift too. 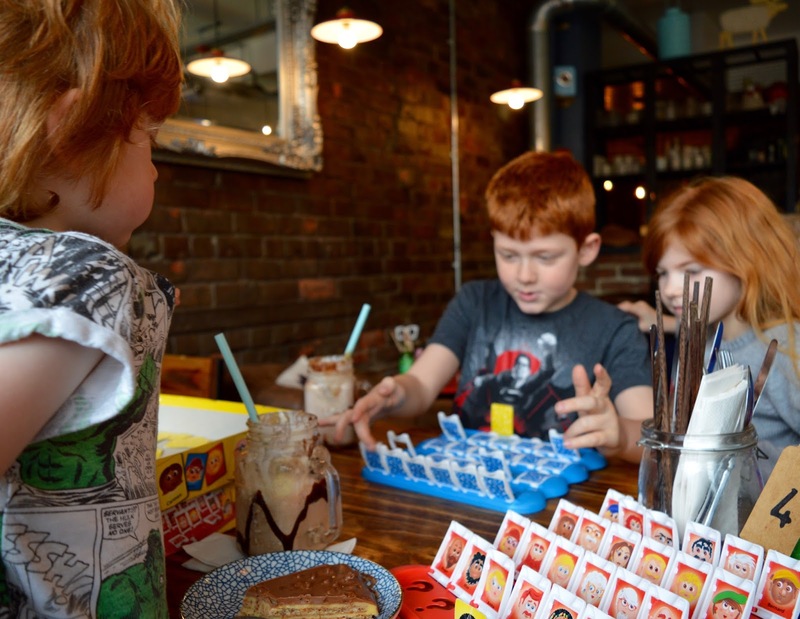 I recommend visiting nearby Meet & Treat for milkshakes and a game of Guess Who before/after the show. The show is suitable for children of all ages and the whole family. Tickets are priced at £19.50 for adults and £15.50 for under 16's (+ booking fee). Book tickets online here or visit the Tyne Theatre & Opera House Box office between 10am-3:30pm Monday-Friday. 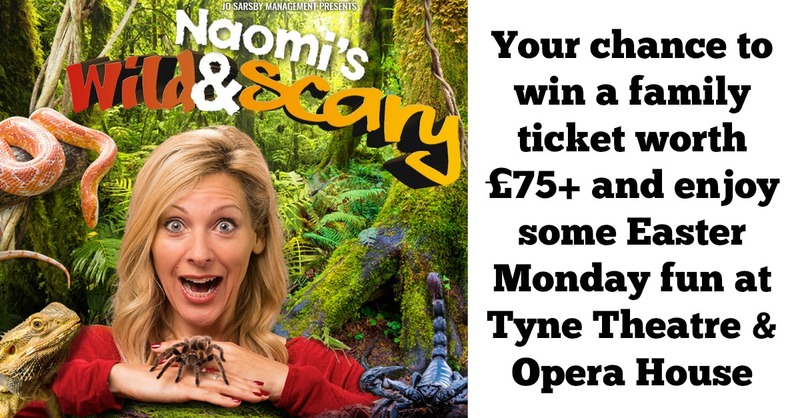 Tyne Theatre & Opera House have provided us with a family ticket (valid for 2 adults and 2 children OR 1 adult and 3 children) to attend Naomi's Wild & Scary Show at Tyne Theatre & Opera House in Newcastle on Monday 17th April 2017 at 2pm. The prize includes an EXCLUSIVE Meet & Greet with Naomi (1 hour prior to the show) which is only available to one lucky family in the North East. For another chance to win, visit Here Come the Hooper's giveaway here. Terms and Conditions: Prize is a family ticket (1 adult, 3 children or 2 adults, 2 children) to see Naomi's Wild & Scary Show at Tyne Theatre and Opera House, Newcastle on 17 April 2017 at 2pm including an exclusive meet & greet 1 hour prior to the show. Tickets are not transferable to another show or performance, there is no cash alternative and refunds will not be issued. Travel and extras are not included. Giveaway ends at midnight on Sunday 2nd April. One winner will be randomly selected from all valid entries and notified via email. Excludes employees/family members of Tyne Theatre & Opera House, North East Family Fun and Naomi's Wild & Scary Show. The build up to easter this year seems crazy. I remember as a kid we were always away for Easter and I just wanted to be home to eat eggs. Turns out we're doing the same to Abigail and Imogen, we're away for Easter. Let's see what they think. I love scary creatures! so I definitely wouldn't mind see this. I Love Meet and Treat it's like one of my new favourite places to go for food now! There dumpling are some of the best! Meet and Treat is such a hidden gem isn't it! I can't wait to go back. I just love the Easter hols and can't wait! It's mad when you have one tiny and one teen ! I really need the Easter holidays. I'm knackered! I can't wait for your water guide. I use them to plan my activities! Oh bless her - my Jack is the same. Thinks every piece of fluff is a spider!